Gutters and downspouts from 31-W Insulation are the perfect solution for Cincinnati, Ohio, residents who would like to prevent further rainwater damage to their homes. 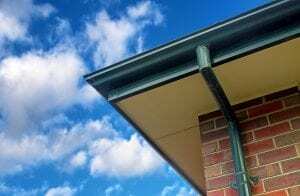 Since 1972, homeowners have relied on us for top-quality home improvement products and expert installations, so you can trust that we have the experience to install gutters that will function flawlessly for years and years. Our long-held A+ rating from the Better Business Bureau testifies to our track record of providing complete customer satisfaction in all that we do. Plus, only our extensively trained employees install our gutter systems to ensure that every 31-W Insulation project meets our standards of excellence in workmanship and customer service. For more information about the gutters and downspouts we offer Cincinnati, OH, homeowners, contact 31-W Insulation today.